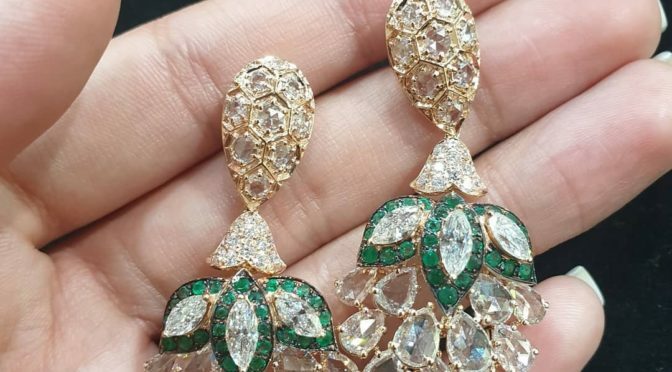 Diamond emerald Rose cut Earrings! 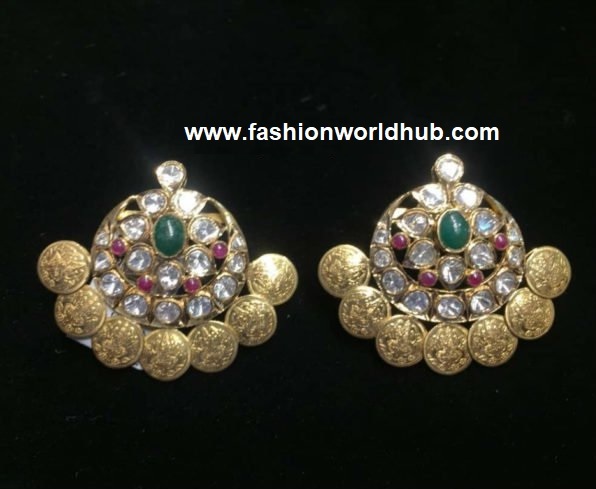 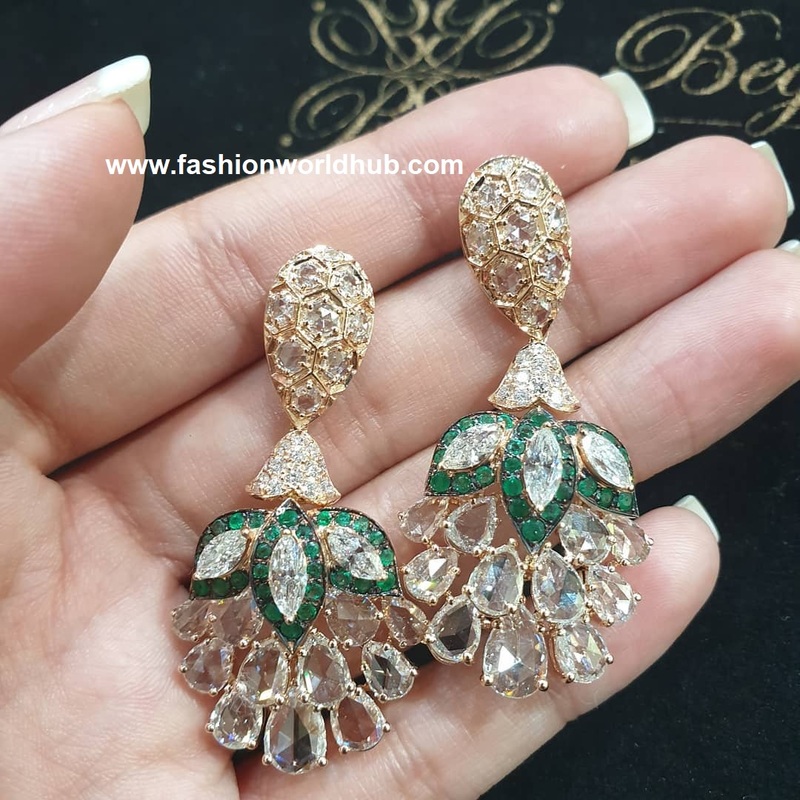 18 carat indo western look diamond and emerald rose cut ear rings that has unique look from begani jewels. 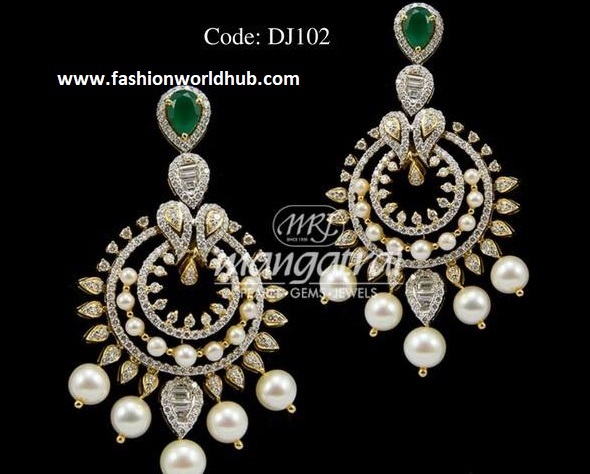 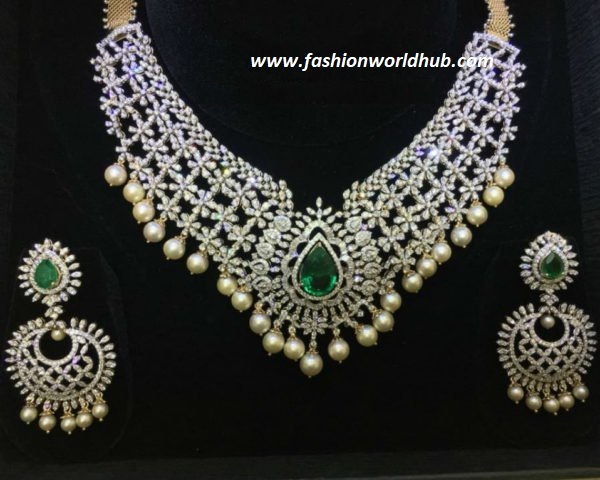 18 carat Diamond emerald ear rings adorned with pearls and diamonds from mangatrai jewellers.